Low Profile to fit in 4 1/4" ceiling hole with 1" space. 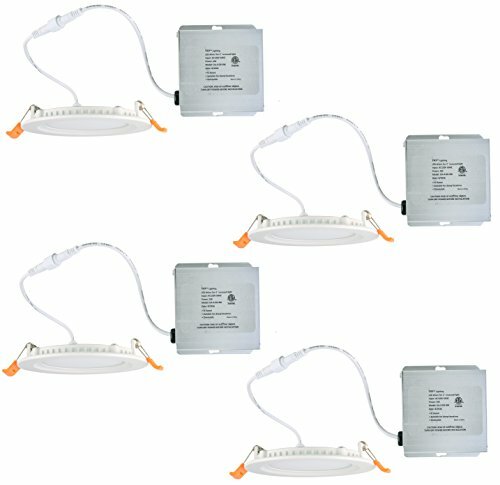 The Yay LED spotlights works on 120V AC power supply. It just consumes 12W standard input wattage providing 85 lumens per watt. LOW PROFILE, ULTRA THIN, SLIM DESIGN - Only requires a 4 1/4" ceiling hole, and 1 inches of ceiling space to fit LED light and recognized driver so it can be put anywhere without interrupting with beams, wiring or plumbing pipes. The outer frame has aluminum die cast and is powder coated that makes the frame durable and rust free.